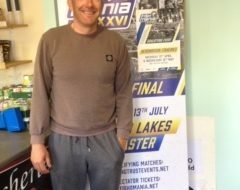 There are two Kamasan Starlets knocking around with current world championship crowns – Sean Ashby who won the men’s senior event in 2012, and Joe Roberts, who won the Veterans event in Portugal in August. 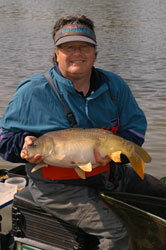 And Joe showed his prowess on silver fish to win the AVVC Open on Arrow Valley Lakes with 29-15-0 of skimmers to 12oz. 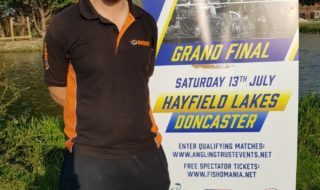 Joe fished into a strong wind on peg 63 with long pole and maggot to beat Redditch rod Steve Reynolds into second – he fished the same way from peg 66 for 26-6-0. 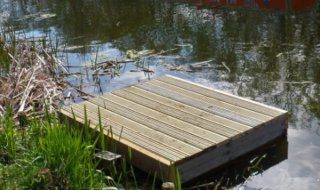 This Saturday sees a 50 peg sell-out match in aid of the Macmillan Cancer Support charity on the lake.